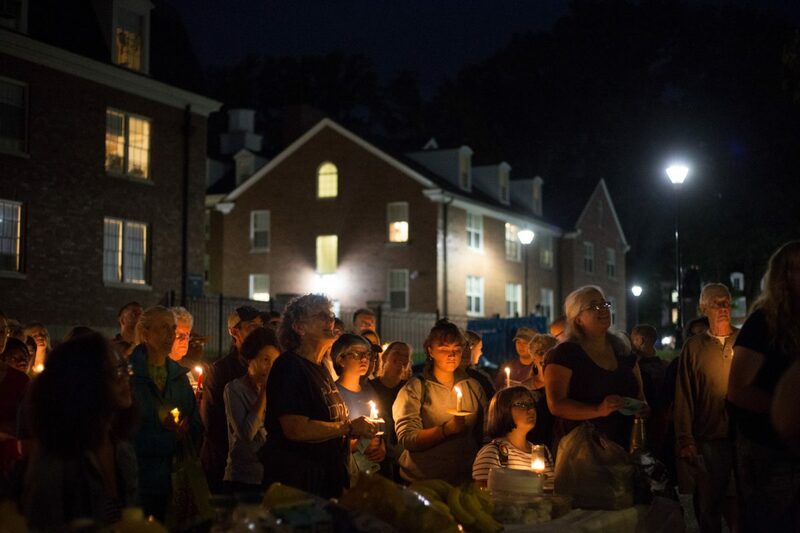 “Thank you for being here tonight as we walk for a more peaceful tomorrow,” said Ohio University President Duane Nellis, starting off the 8th Annual 9/11 Interfaith Peace Walk. “The ultimate goal in creating the event was to embody this idea that we are all one and that we all are connected…..and it was amazing to me, the number of different faith communities that said ‘Yes. Absolutely'” to participating in the event. 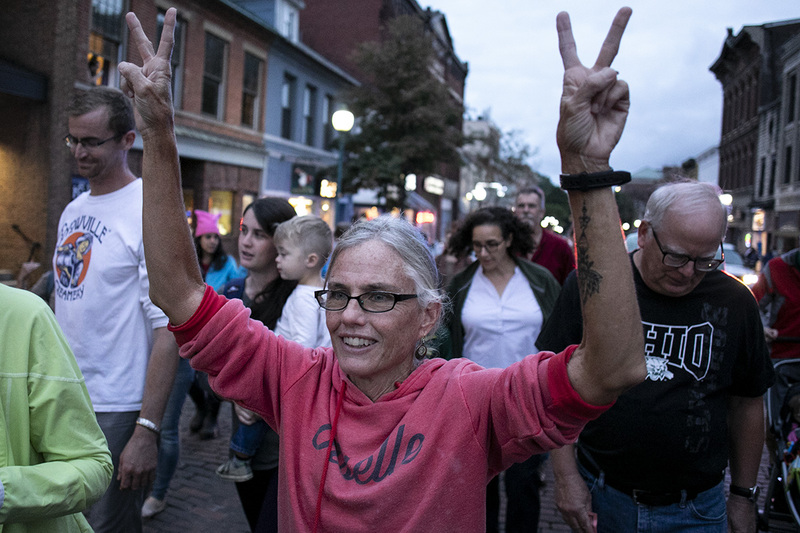 Jean-Phanuel Chumbow, 8, of Athens, Ohio, stands with his mom Mary-Magdalene Chumbow at the Islamic Center of Athens following the Interfaith Peace Walk. The event would not have been the same without the Ohio University students and the Athens community members coming together to walk and remember the tragedy that occurred on September 11th, 2001. “We’re all apart of this global world and we need to work together collectively and be respectful of each other. We need to show respect and passion and commitment to the sense of community,” President Nellis said. As we look back at the events that happened in 2001, we can also remember how the community comes together, this day every year, to fight for social justice. “It’s easy to feel alone in your interest of social justice, but this is an event where organizations and individuals from all over the Athens and Ohio University community come together to be that social justice community…and the invitation to join it is as wide open as it could be,” Reverend Young concluded.